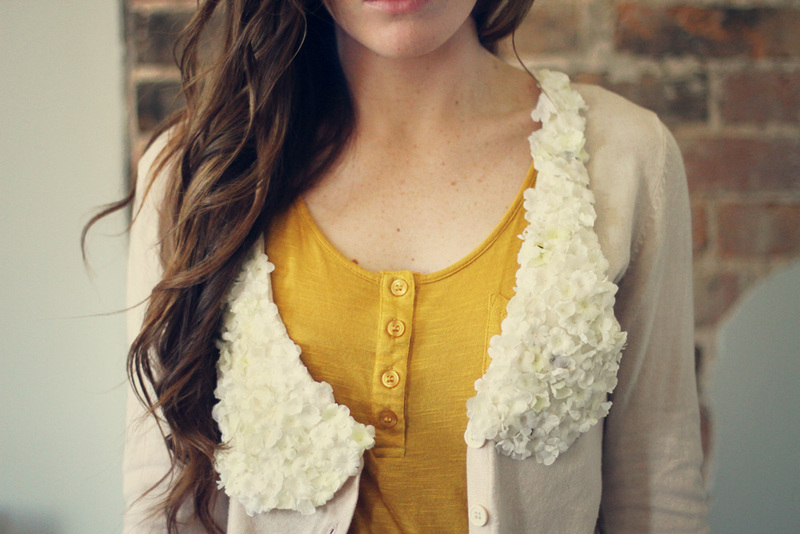 Supplies: Fabric floral stems, an old cardigan, felt the same color as your cardigan. Pantry Supplies: Scissors, needle + thread. First, cut out the base of the collar. You'll measure it against the cardigan to make sure it fits perfectly. 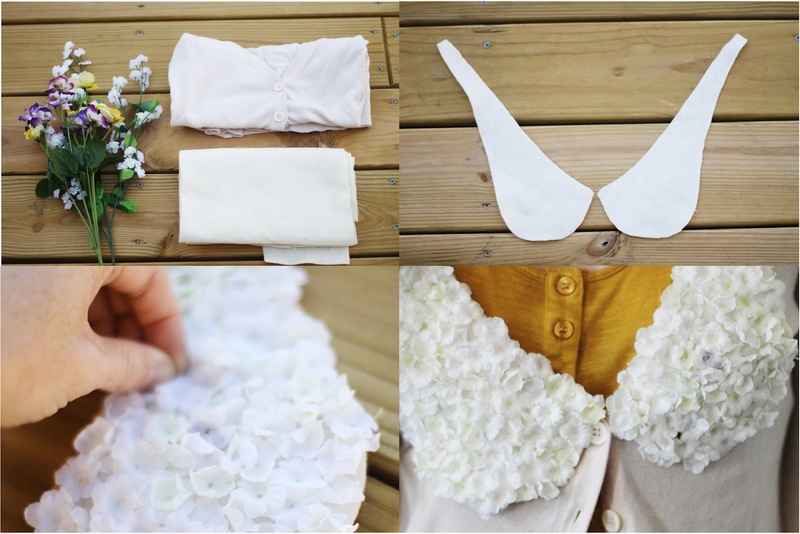 Next, pick the flowers off of the stems and begin sewing them onto the collar. Fill the entire collar with flowers until the felt is no longer visible. Lastly, hand stitch it onto the cardigan! The main reason I hand stitched it was so that it would be an easy removal once the end of summer rolls around. But it would definitely still be removable if you machine stitched it instead. There you have it! Just in time to match all the blooming flowers we're so luckily beginning to witness. I'm off to RVA to work on craft projects all day! xo. Such a lovely little project! What a fun idea! This would also make a cute, removable addition to the flap of a fabric purse. Amazing! Where can you buy a lot of those Fabric floral stems? This is a really nice alternative to a peter pan collar, I repeatedly think about attaching fake flowers to things but had never considered making a collar using them, very cute! You're adorable. Love your crafts, you have crazy energy my friend! 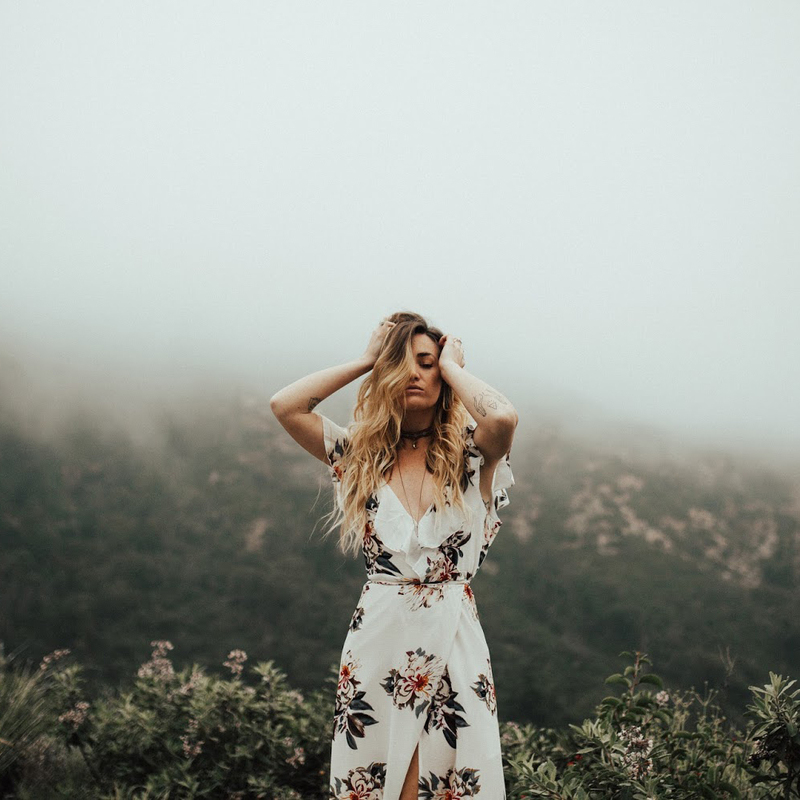 I just stumbled upon your blog and i'm in love! You are adorable and the design of your blog is one of the best I've ever seen. SO exciting to find another blogger for Christ! I hope my blog can be a succesful as yours some day. Blessings! oh my my! I love it! where did you get your dress? That is my absolute favorite color! I believe I found it at a second hand store! Thank you for the kind words! how darling!! you are so darn creative. Eeeek! Thank you so much for sharing this, I'm in love with this idea! This is really cute. It's perfect for dressing up old cardigans! Think of all the colour possibilities! I love projects that rework clothes I already own. Too cute! Too cute! So pretty & feminine, I love it! Super cute! I'd love to dress up a cardigan with this! this is so adorable! I LOVE this DIY! :) your whole blog is absolutely amazing! So pretty! You always have the best authentic DIY's. i love this tutorial, can't wait to try it! i love the floral collar, can't wait to try this out! 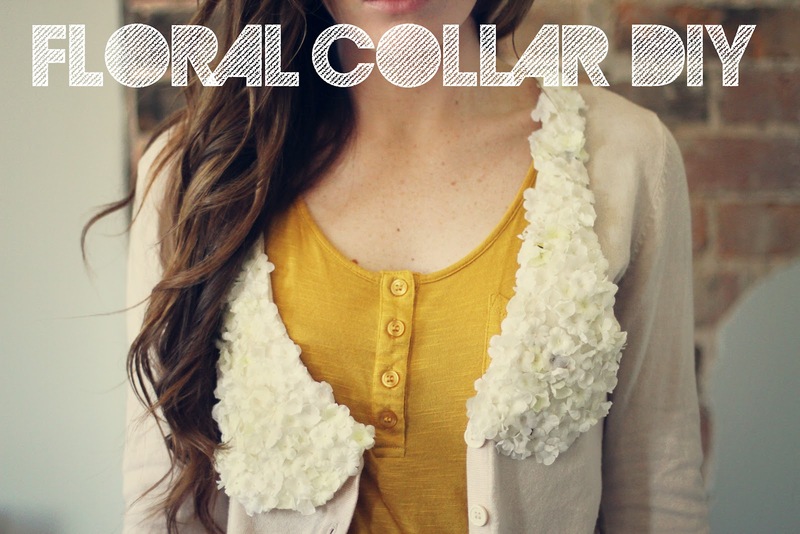 This might be a weird question, but what kind of font did you use for the "floral collar DIY"? *sheepish shrug* Thank you!